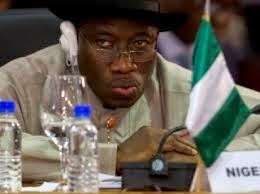 Those defecting from the Peoples Democratic Party to the All Progressive Congress due to PDP’s loss at the presidential election, will return with “empty stomachs”, President Goodluck Jonathan said Thursday. The president said the PDP was still the dominant party and it was only a matter of time before it bounced back. He said the APC will first satisfy the hunger of its own members who worked during the elections before attending to defectors. Mr. Jonathan made the remarks while receiving the PDP campaign report from the Presidential Campaign Organisation (PCO) at the presidential villa. He urged the party and its members to sit tight and put its failures behind and help the party move forward. “So I encourage members of our party to remain loyal to the party, not to be so disillusioned ‎because we lost presidential election and decide to go where they think they will fill their stomachs or something. It’s not easy. I have been here for five years plus, you hardly satisfy even 15 percent of those who work for you. “So those people running and those already cross-carpeting, they will come back on an empty stomach because they will touch the primary members of their party, before they get to you. They know you are coming because you are hungry, before it will get to you the food will be gone. “So let us be committed to the party, yes we will have challenges at the beginning but surely we will get to where we want to be,” he said. The president urged PDP members not to judge the party by the result of the presidential elections, saying it was time to go back to the drawing board and identify areas of challenges ‎so that the party will become stronger.